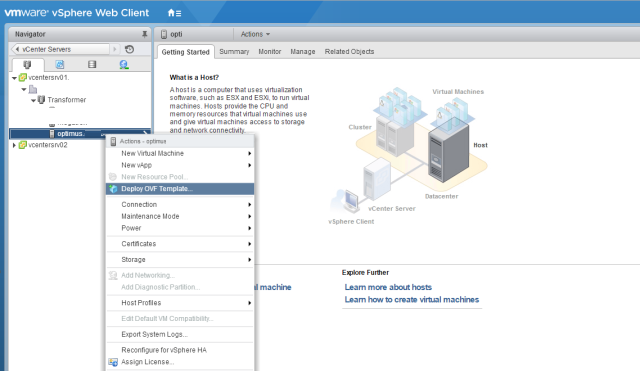 This guide will walk you through the steps to deploy vSphere Replication Appliance within your virtualization environment. 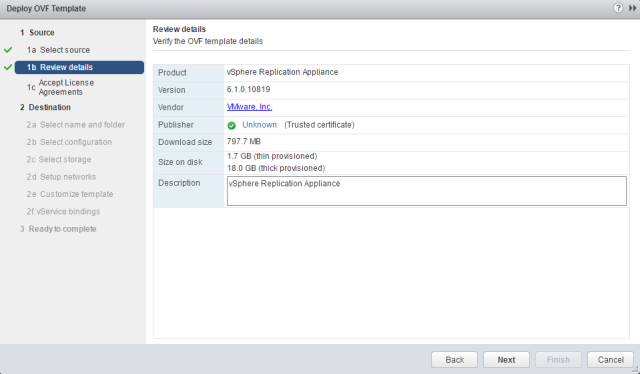 You can download ovf template of vSphere replication appliance from the following link of VMware download center. 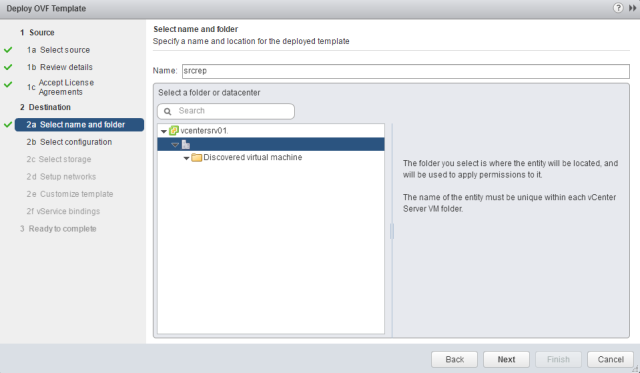 You need to prepare your vCenter Server prior to deploy vSphere Replication Appliance. When you are done then follow the instruction below to begin with the deployment. 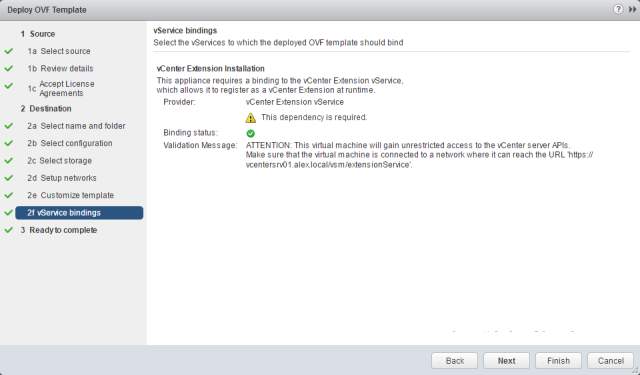 Login to vCenter Web Client and select the ESXi host where you want to deploy the vSphere replication appliance and right click on it and choose Deploy OVF template. Browse to the directory where you have downloaded the ovf file and click Next. Do not get confuse on appliance version. The steps will be remain same if you deploying latest version. 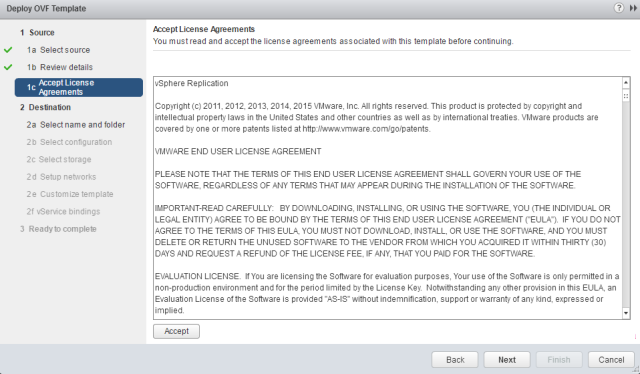 Accept the EULA and click Next to continue. 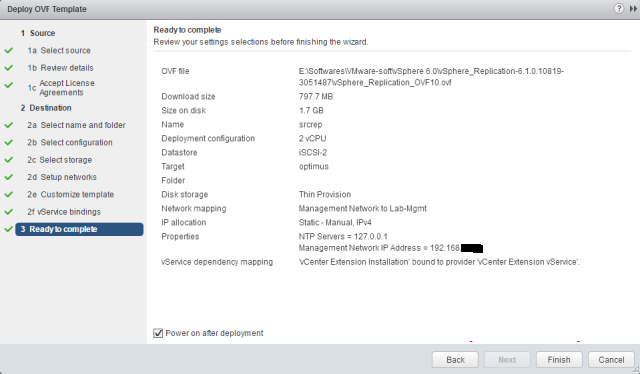 Provide a name for the replication appliance VM and choose the location where it will be deployed. Click Next to continue when you are done. 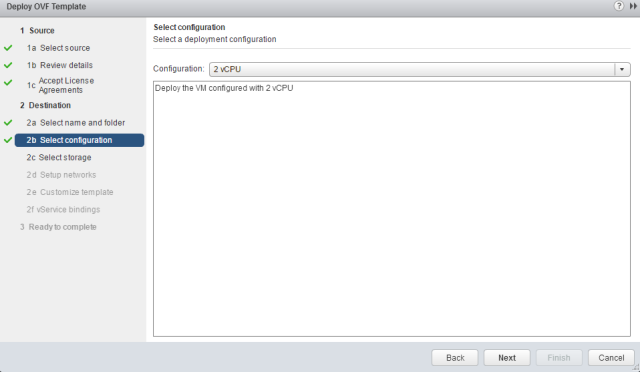 Now Select Configuration page, select the number of vCPU that you need to allocate to the replication appliance. By default it is deployed with 4 vCPU, but you can go with 2 vCPU if your environment is small. Click Next to continue. 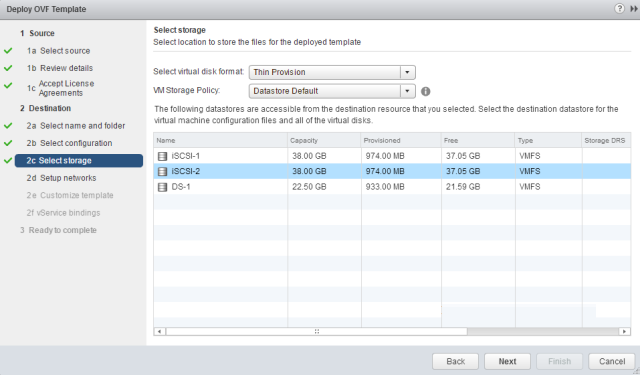 Select the datastore where the appliance will be deployed and select the provisioning type from select virtual disk format drop down menu. It can be either thick or thin. Click Next to continue. 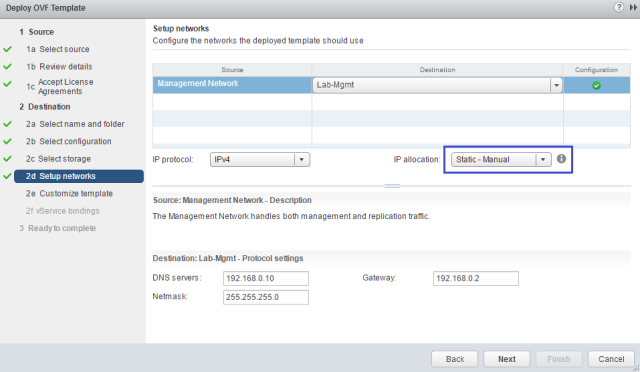 Select the portgroup for the Management Network of the replication appliance. Select Static-Manual from IP allocation if you don't have a DHCP server in your environment. Provide the DNS/Netmask and Gateway details. 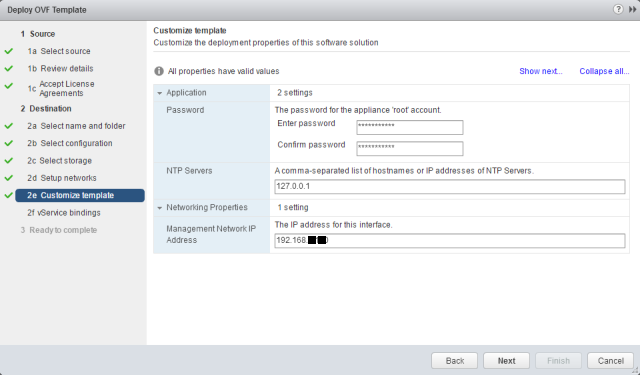 Provide the root password of the appliance and the IP address that will be used to manage the appliance. Click Next. Under the vService bindings, don't proceed until you see binding status as green. On Ready to complete page, review your settings and finish to start the deployment. Wait for deployment to finish. You can monitor the progress under recent tasks. 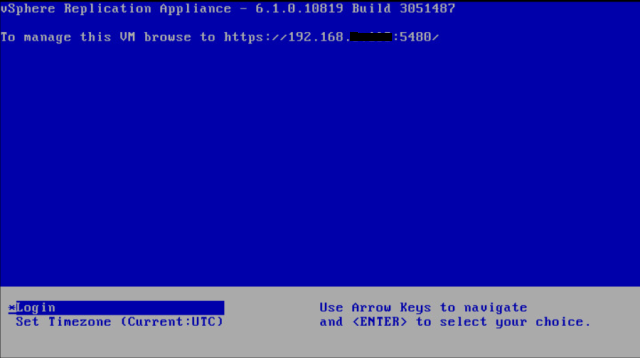 Once the deployment is finished and replication appliance vm is loaded, you will see following screen which displays the URL for managing the appliance. Now you are ready to perform configuration steps. 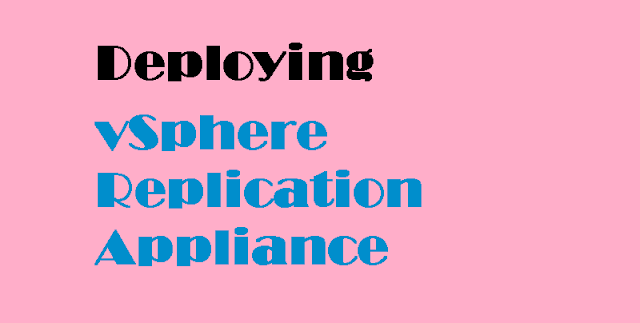 This step by step guide will help you to perform configuration tasks on your vSphere Replication Appliance according to your environment.